That's a damn fine deal there !!! Damn it!!!!!! Why the hell isn't someone still making these?! Really. I black BDS version would be great! I thought they were going to go back into production? WES!!!!! Make some more BDS bags!!!! I think I have an extra AWA bag laying around. I'll have to look for it. 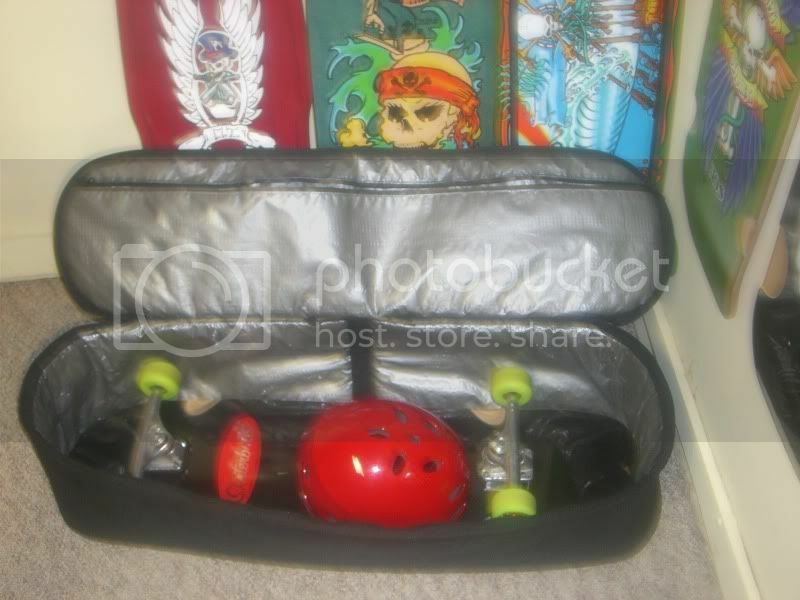 That 32" Skaterbuilt looks like it just fits in that Alva bag. Will it really hold a Gas Head longboard? I have the BDS bag, and the Plank and Q12 barely fit into it. So, the Alva bag must be bigger than the BDS bag? Gary, if the Alva bag you have is bigger than the BDS bag, I'm interested. PM me. Thanks. Thanks. That would explain it. The Q12 is 35" and just barely fits in the BDS bag. 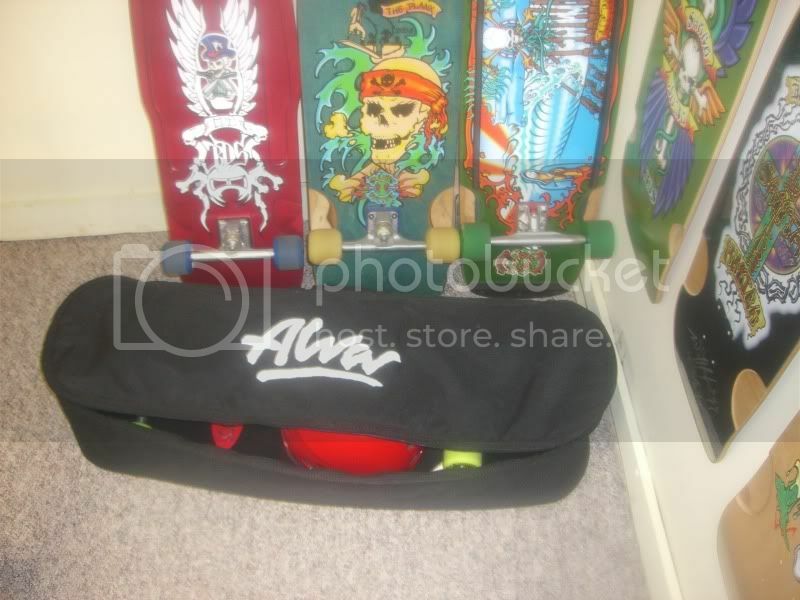 So, this Alva bag must be bigger. The Alva bag also looks a little deeper. Have you tried putting the Gas Head longboard in the Alva bag and does it fit? Wasn't me. I was 2nd in line.